Two travelling Monks reached a river where they met a young woman. Wary of the current, she asked if they could carry her across. One of the younger Monks hesitated, but the other (older) Monk quickly picked her up on to his shoulders, transported her across the water and put her down on the bank. She thanked him and departed. 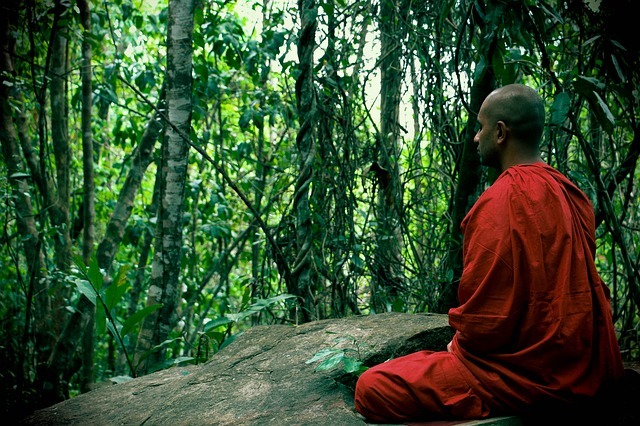 As the Monks continued on their way, the young Monk was brooding and preoccupied. Unable to hold his silence, he spoke out. “Brother”, the older Monk replied, I set her down on the other side, while you brother are still carrying her”! How would you react in a situation such as this? Like the older Monk…able to see beyond beliefs in order to help someone in need regardless of what others may think or say? Or are you more like the younger Monk….inflexible and possibly a little judgemental? Holding on to grudges and unable to forgive and move on? Is there anywhere in your life you can become more flexible and ‘let go’ of beliefs that no longer serve you? Is there someone you can forgive that you have been punishing for far too long (especially if that person is you? ).